Summer's heat is always welcome at first, but it can become oppressive; by mid to late August, you're probably more than ready make your escape from the heat and the humidity and take a vacation somewhere a little cooler. If it's cool you're after, then here are three words you're going to love - Canadian polar bears! There are all day polar bear photography trips, allowing you to get close enough to take incredible photos of these majestic animals. You may well be able to experience the unforgettable sight of polar bear cubs at play on these outings, as well as encountering other tundra wildlife including moose, fox and Canadian waterfowl - and in the evenings, you can marvel at the Northern Lights! 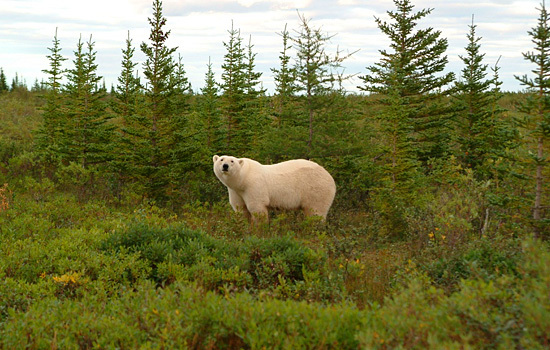 This is a Canadian vacation which always ends sooner than you like; but Canadian Polar Bears can help book your next summer vacation to the tundra of the Hudson Bay, Manitoba - home of the polar bear.